The Rebel Sweetheart. : Spotlight | Human Heart Nature Mammome Natural Body Wash. 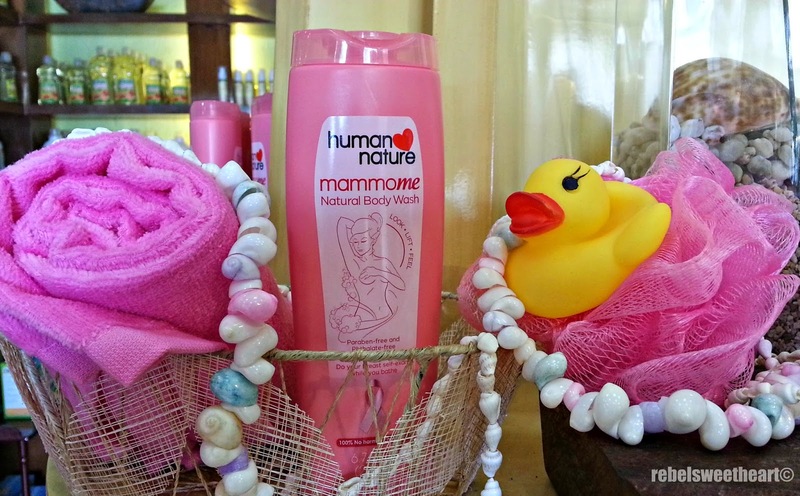 Spotlight | Human Heart Nature Mammome Natural Body Wash. I've been using Human Heart Nature products for the past five years or so, and all these time I had been waiting for an 'adult body wash' to be included in their product line. Sure, they have the Natural Baby Wash and the Kids Natural Shampoo and Body Wash which can be also be used by adults. But of course, it's always better to use products that are 'meant for your age range', if you understand what I mean. The long wait ended last May, when the Mammome Natural Body Wash was finally made available to the public. The product was unveiled during the June-July Magalogue Turnover (Human Heart Nature's bi-monthly product launch), also dubbed as the 'Mammome Event'. A first for all Filipinas, this new product helps detect early possible signs of breast cancer by reminding us to conduct breast self-exams. (Hence the name 'Mammo-me'.) The steps to early detection are illustrated at the back of the bottle. They say all women are at risk for cancer, and statistics show that 1 in 13 Filipino women will develop breast cancer in her lifetime. However, according to the American Cancer Society, 100 percent of those who detected breast cancer while still at Stage I survived the disease. Truly, early detection is the best protection, and the key to saving lives. This body wash cares for fellow Filipinas, too. - The sweet, bubblegum scent. - Safe and gentle on the skin. - Lathers quite well. You need just a little amount to get a rich lather. - Doesn't leave the skin with a greasy feel. - A portion of proceeds go to charity, to help provide treatment for indigent women with breast cancer. - Comes in one size only (200 mL). Mammome Natural Body Wash, 200 mL. The Mammome Natural Body Wash sells for Php 159.75 per bottle, and can be bought online, through registered dealers, and Human Heart Nature branches nationwide. This I will have to try. I love the nature stuff because it is safer for us. Thanks for sharing. Nice, this will always remind us to test ourselves whenever we are in the shower. First time to see a body wash like this. I'm not into body wash kasi pero if this one has the bubble gum scent may put this on my next shopping list. I also like that there's lot of information about breast cancer printed on the bottle. Pro-health! :) I really like their products. This one is another must-try. This seems like a really nice body wash. Love how it encourages breast self-exams, and it's so affordable! Will definitely buy for this!